There are so many reasons why I love Vancouver. The people, the energy, the fresh mountain air, the fact that we have the largest coastal temperate rainforest in the world, the proximity to the Pacific Ocean… need I say more? That’s why it’s always such a pleasure when our friends visit and we have the opportunity to show them around, while at the same time renewing our love for this beautiful, lush province. Irek and I spent last week with fellow Travel Bloggers and Hawaii natives, Reid and Maryrose of Wanderlustyle Travel and Lifestyle Blog. They visited Canada for the first time with their globe trotting 10 year old son Landon (who happens to be the coolest, most relaxed kid I’ve met). We were also reunited with two very special people, Kim and Phil (Love Over Blood, The Vegan Artists Collective) who we first met in Bali last year… I loved them from the very first second. 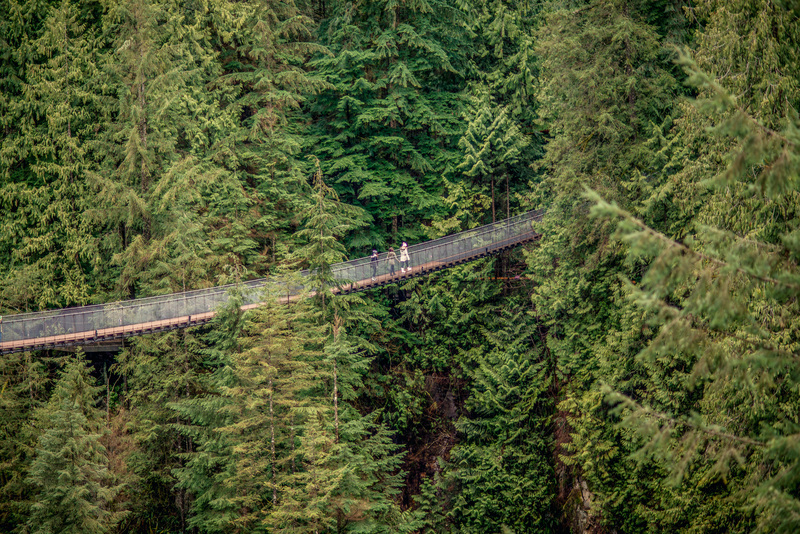 On their first full day in Vancouver, we headed to a few must-sees in the area: Capilano Suspension Bridge, Lighthouse Park, and The Cleveland Dam. The weather was exactly what you’d expect in March in VanCity… overcast, damp, chilly, but really fresh and really clean. Suffice to say, it was a true BC experience! As for accommodations, we stayed downtown at Opus Hotel. It’s a super cute boutique hotel in a great location, and has some really nice, trendy restaurants in the area. After spending the first few nights in Vancouver, we all headed to Whistler… more to come. Special thanks to the incredibly talented BC based photographer, Colin Marshall, for contributing some of the photos in this blog post. Thank you so much Molly & Irek! You guys are the best and are true inspirations for many people, including Mary and I. Landon Misses his uncle and aunty; we can’t wait to reunite. Love the pictures! Vancouver and its people are truly beautiful.